-Designed to help prevent oil from moving around under extreme conditions. Preventing drops in oil pressure and air from mixing with the oil. -The main baffle plate is removable. Making it easy to flush out foreign bodies from every hole and corner when overhauling. -TODA logo to show that this is not std oil pan. 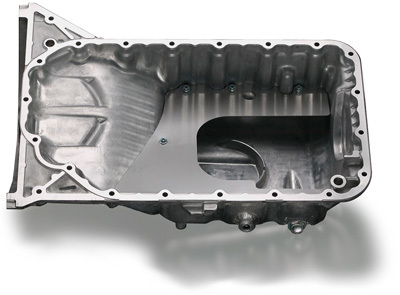 It may be necessary to separate the transmission from the engine by around 10mm to help installation.